With ever-growing cyber scams and identity theft cases, it becomes highly important to protect your money from fraudsters and online hackers. Internet banking involves a base-line security shield to protect user’s data, but smart hackers can snoop into your networks and flew away with your financial details and money. 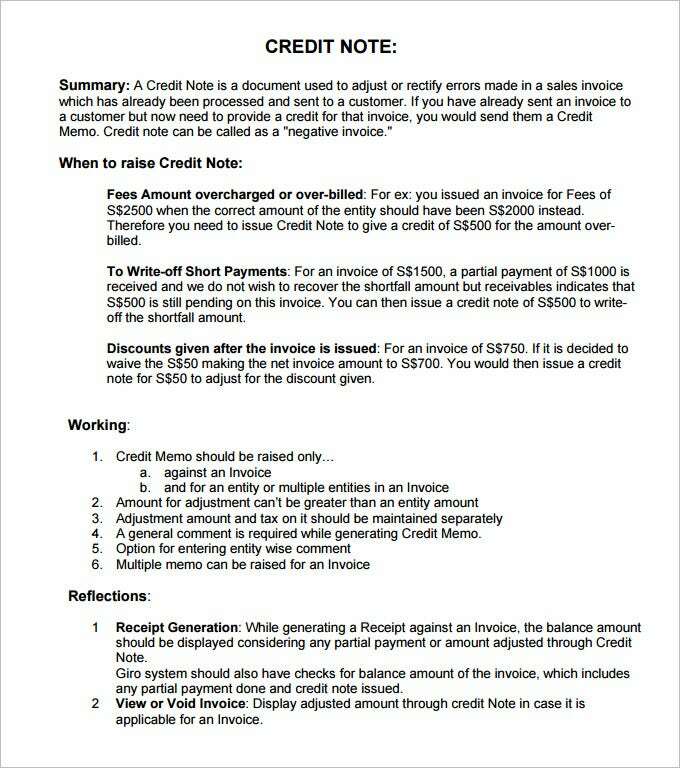 Since the business world deals in freelancing and outsourcing these days, many of the business professionals use the credit notes to provide end-to-end security for each other’s finances. 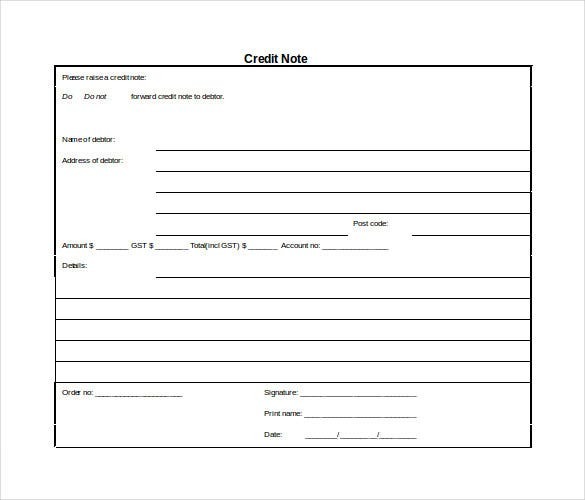 You can easily download and use the Credit Note Template to ensure safety of transactions in business operations. 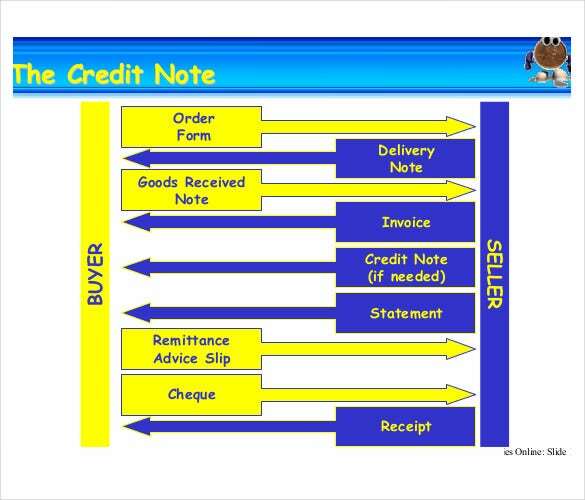 One of the biggest advantages of issuing a credit note is that it can be claimed by both parties against unpaid invoices to clear financial transactions with great ease. The main components in these templates are a company’s info, date, customer’s details, quantity of products, description, etc. This varies from simple business to business which is why the web has plenty of these options. And the download is pretty simple. 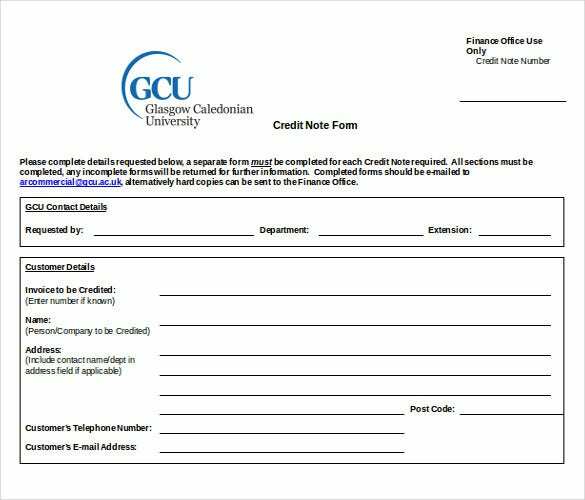 If you are unable to use a specific credit note sample template word, there are other options available. They are available in freeware editions and are simple to download. 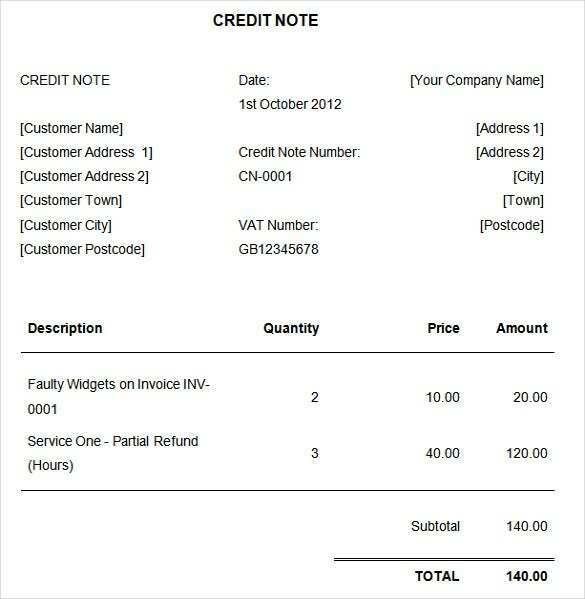 For those who want uniform invoice software editions, the software needs to be installed first. Word Template is one tool that keeps your business transactions in place without you having to face the trouble of following up for your pay. 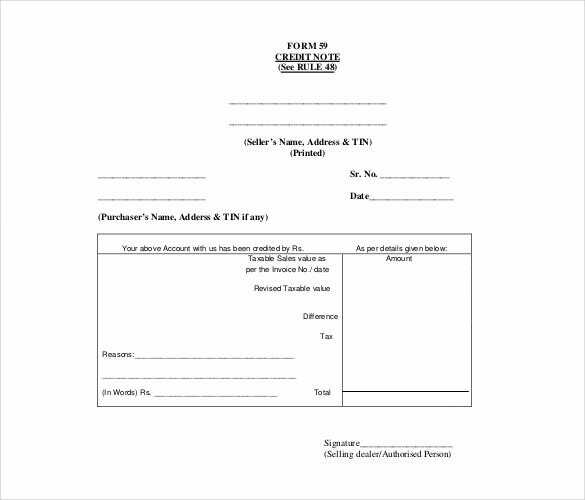 Offering optimal security your business transactions, the Invoicing and Credit Note Application Template works as best solution to avoid online scams, financial losses, and fraudster attempts to steal your private yet sensitive information. 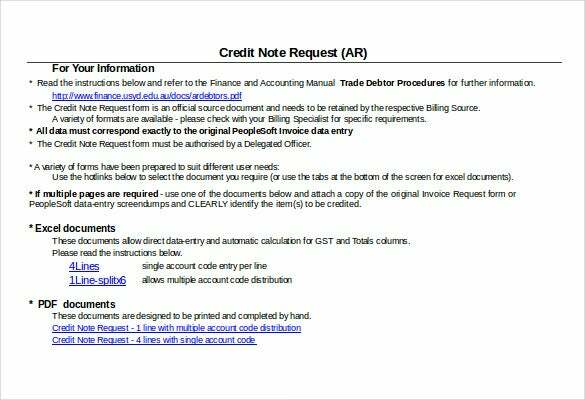 The template includes a lot of sections to describe your as well as your partner’s details to ensure that your business follows fair practices and releases credit amount on time to the suppliers. 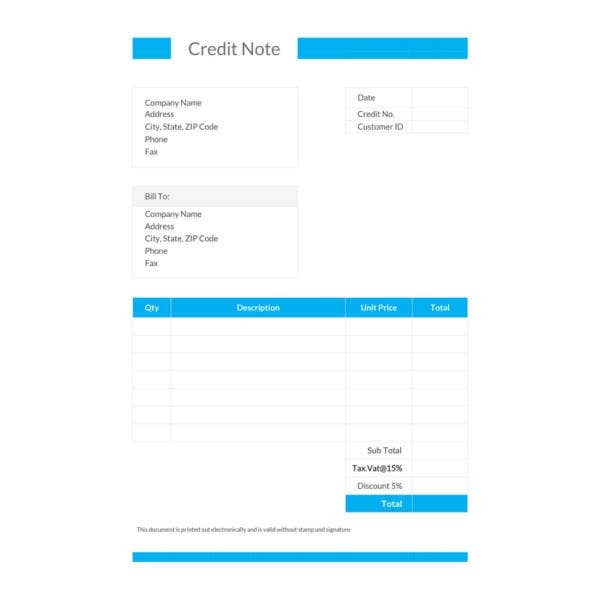 The detailed template offers spate sections to fill in your required data such as items, amount, company’s address, credit note-issuing authority and other vital details that are important for proving the authenticity of these notes. 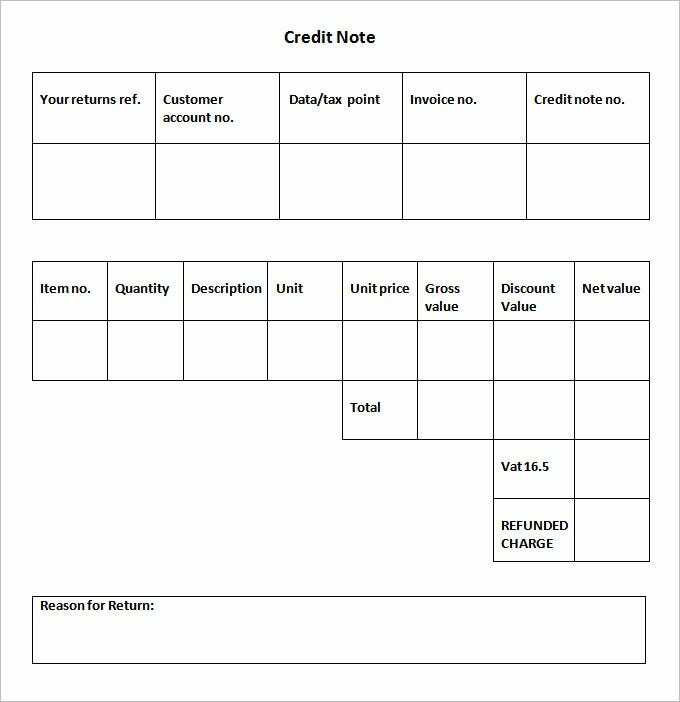 You may also see free note templates. 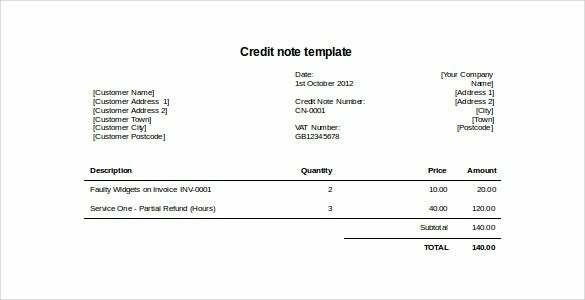 The Form 59 Credit Note Template is one of the simplest and easy-to-use templates available under this category. 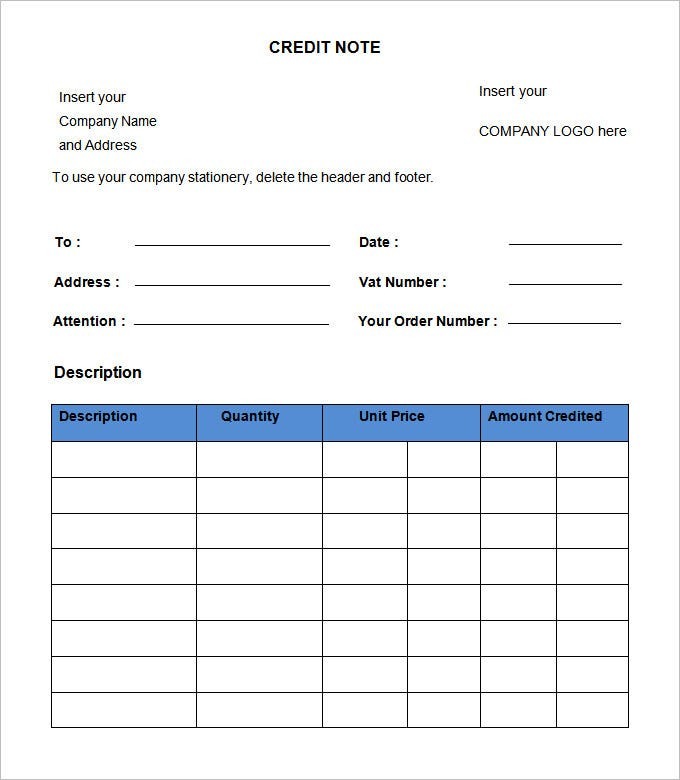 The top of the page contains space for mentioning the company’s name, address, email, and TFN to be printed on priority. 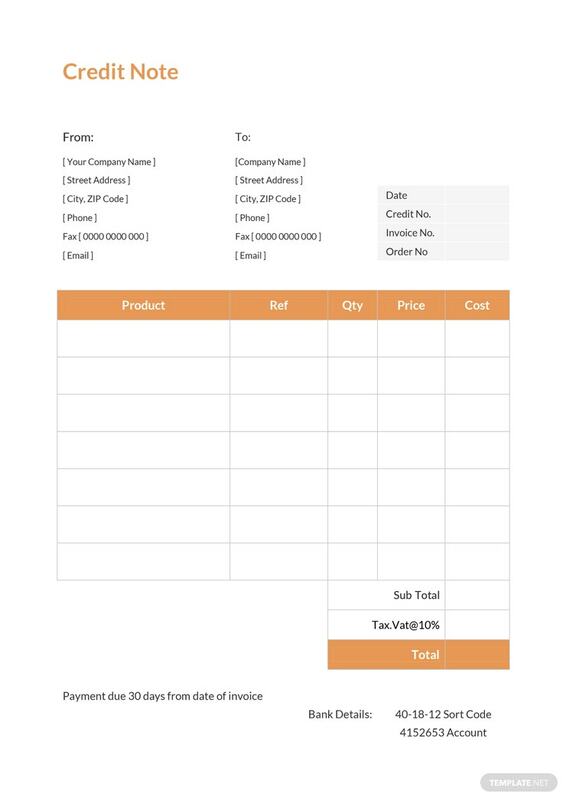 The left column helps you to fill in the purchaser’s details along with the Sr. No. 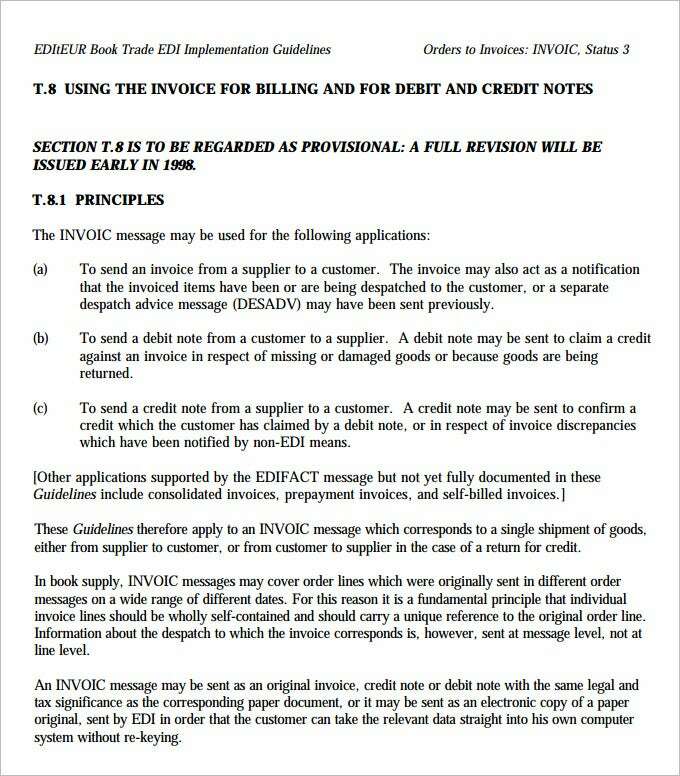 and issuing date of the credit note on the right-hand side. Apart from these, the template includes all the necessary fields and sections that are important for validating the record samples and maintaining a repository of business transactions. You may also see progress note templates. 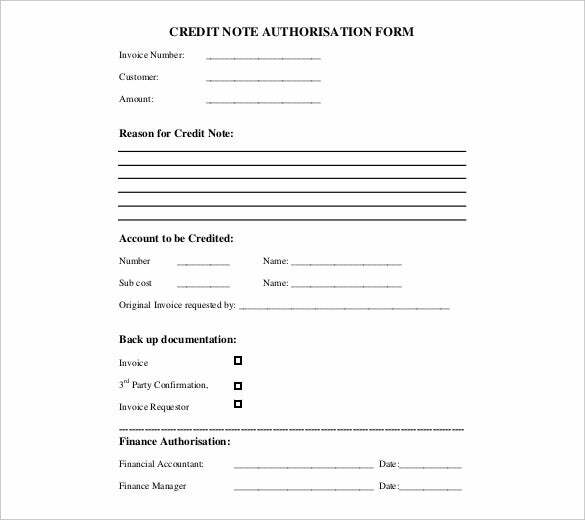 As the name suggests, the Credit Note Authorisation Form Template serves as a common base to help you authorize the issued credit notes. The format of the template is quite simple, but it incorporates all the required fields to ensure that your business transactions remain completely safe and protected. 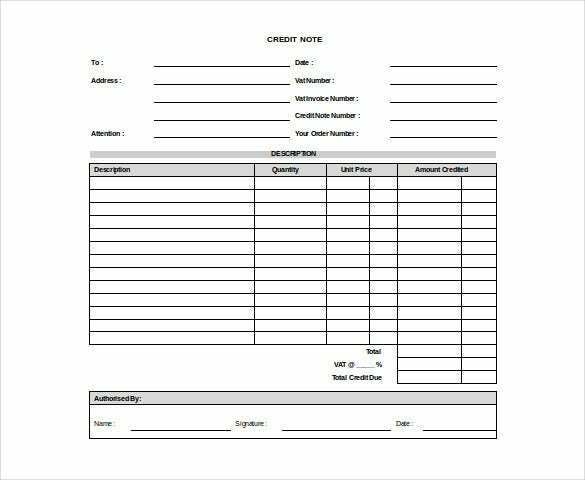 The template features invoice number, customer’s name, and the amount of the credit note on the top to help the financers take necessary actions with great ease and comfort. You may also see meeting note templates. 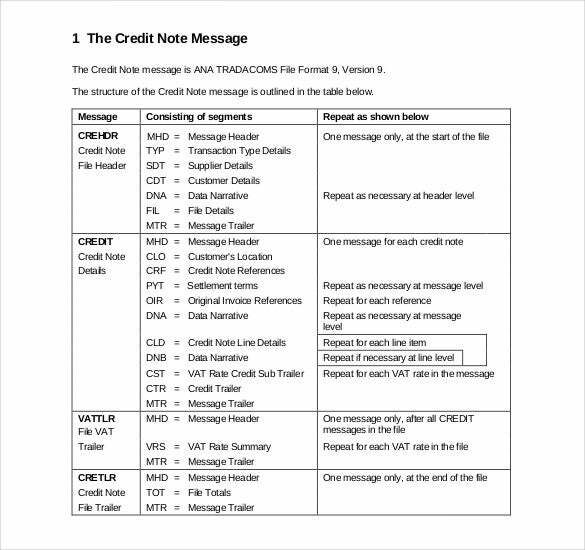 The middle section of the note contains information about the reason that why the issuing party has released a credit note and the details about the account in which the transaction needs to be processed. 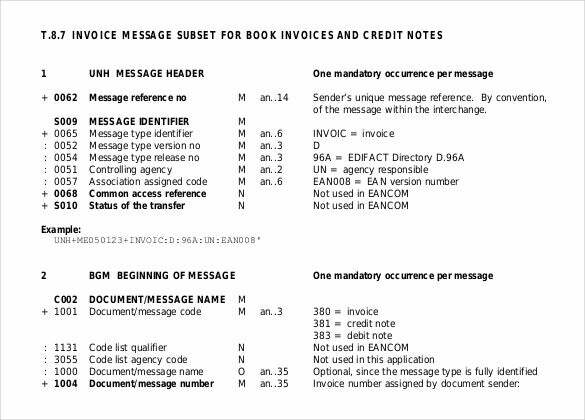 The bottom of the template includes space for mentioning the backup documents that were provided during the transaction along with the details of finance approval authority. You may also see patient note templates. All these templates are readily available for download and can be customized as per your requirements to meet the desired purpose. The best thing about these templates is that they include a lot of blank fields and sections to fill in your required data. 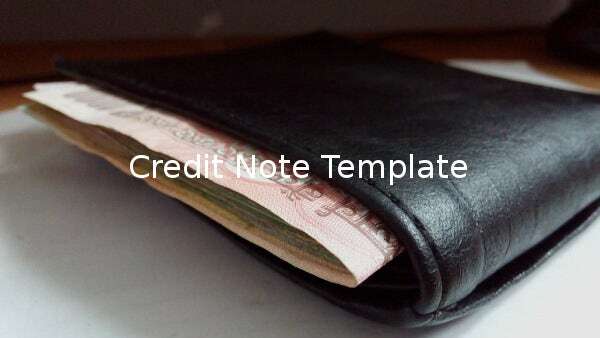 If you’re getting bored of the same style and appearance of your credit notes, then you can easily make alterations and make them appear new-like in no time. Apart from this, all these templates save a lot of time and money that can be utilized for other important projects and business operations. 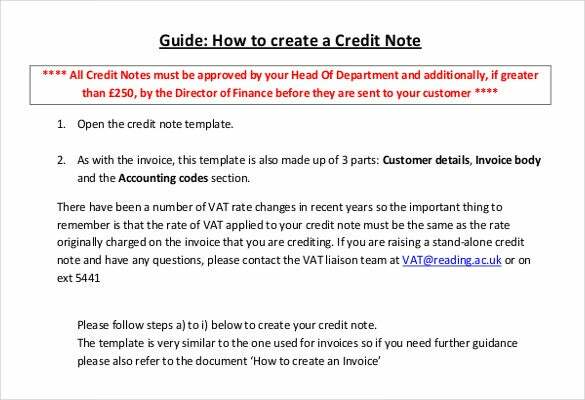 You may also see advice note templates. 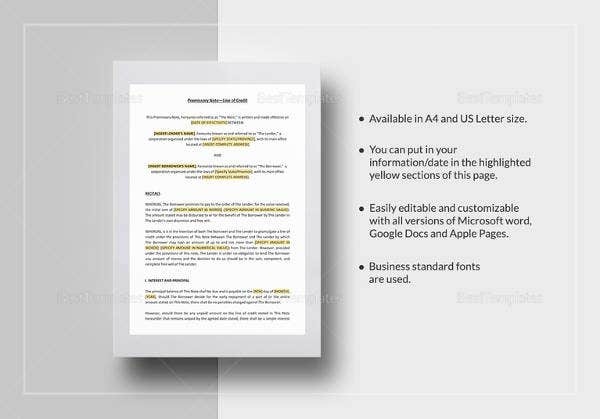 All these readymade templates are available for download in various versions and formats including MS Word, MS Excel, and PDFs to meet your desired purpose. 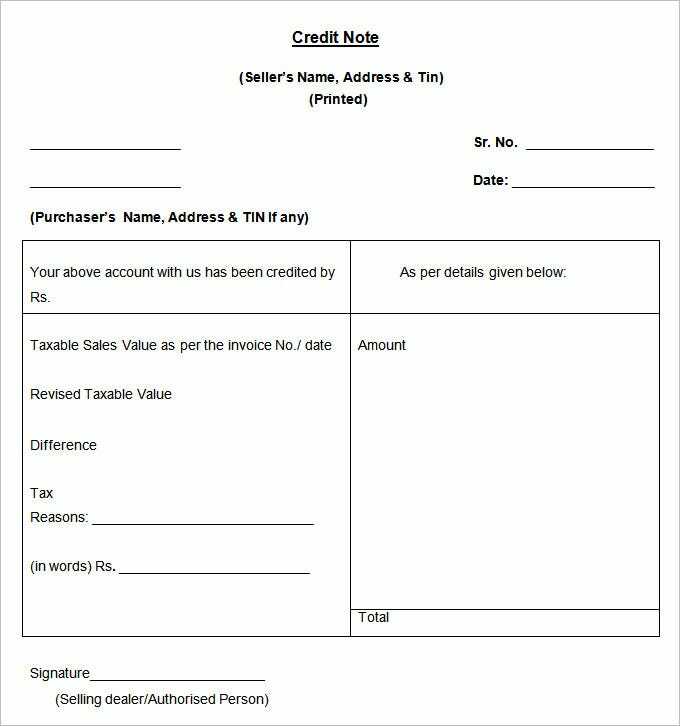 The biggest advantages of using Credit Note Template is that all of these templates contain specific space for mentioning company’s info, date of issue, customer’s details, the number of products purchased or sold, and a brief description about the note for which the credit note has been issued. 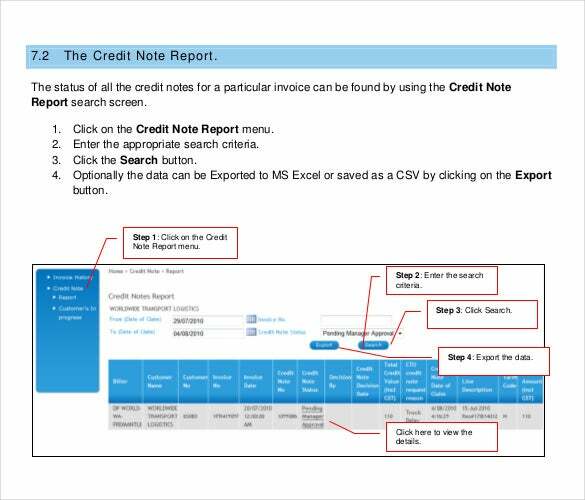 The templates are created by expert professionals and industry leaders to ensure that they incorporate all the required fields and descriptions that are necessary to generate legitimate credit notes. You may also see briefing note templates.